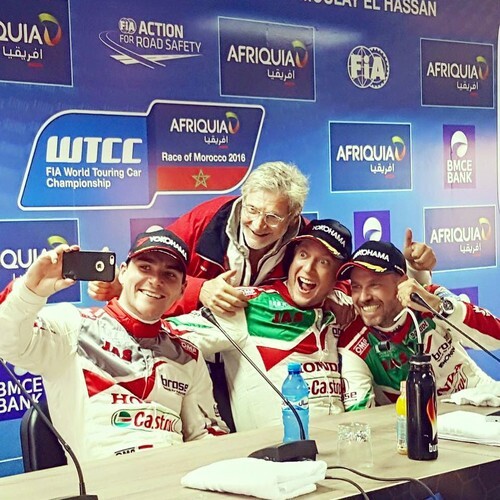 O Mundial de Turismo FIA WTCC prossegue em Marrocos com a 4ª ronda no circuito Moulay El Hassan, a grande novidade para 2016. O seu traçado foi completamente revisto e em nada tem a ver com o anterior. 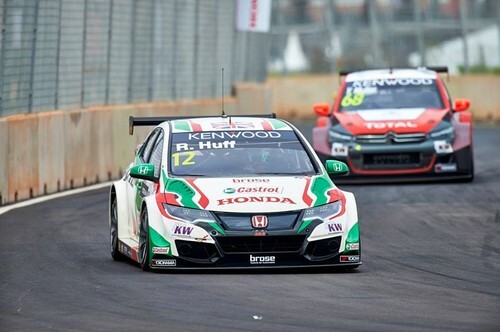 O circuito puramente citadino deu agora lugar a uma pista permanente, com características opostas ao anterior traçado. Acabámos agora a sessão de testes aqui em Marraqueche. 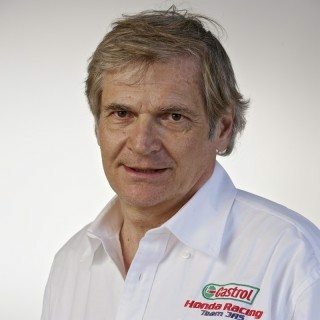 4º tempo e mais importante que isso é que me estou a sentir muito bem na pista e o carro está top. Tudo pronto para treinos livres de amanhã e qualificação. Vamos com tudo!" Melhor tempo no primeiro treino livre. Estamos fortes, ver o que conseguimos fazer na qualificação, a palavra é ataque! 16:00 no Eurosport 2. 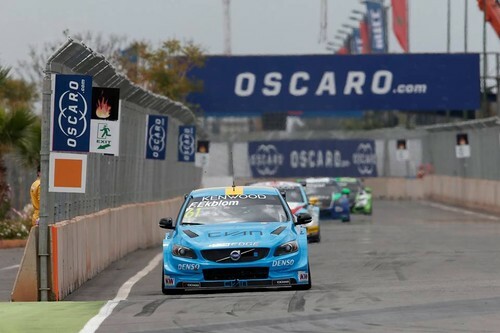 I'm not pleased with my FIA WTCC qualifying result today with P13, a position I will start form in both races. I was just 0.073 from making it on to Q2, but we had made some changes ahead of qualifying that didn't turn out the way we hoped. 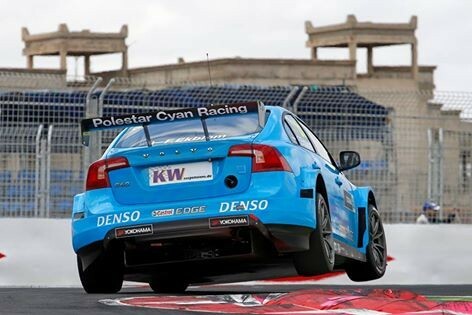 But I will as usual keep on fighting as hard as possible in the two races tomorrow! 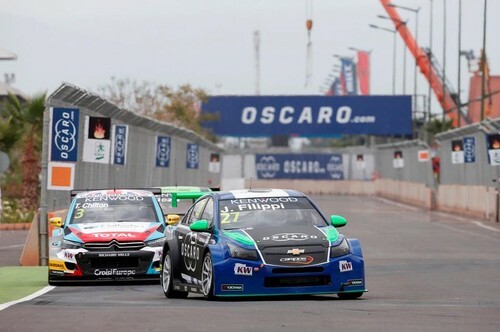 Rounds 7 and 8 of the 2016 FIA WTCC see the teams and drivers return to North Africa and the Moroccan city of Marrakech to the Circuit Moulay El Hassan but this time to a dramatically different layout, which will provide a new challenge very different to those of previous visits. 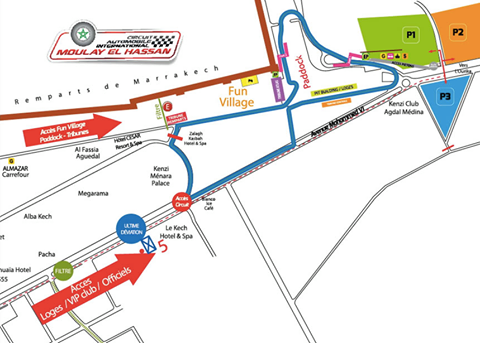 The circuit has lost its characteristic long straights and hairpin layout in favor of a now permanent street style circuit with tight twists and turns between the concrete barriers. 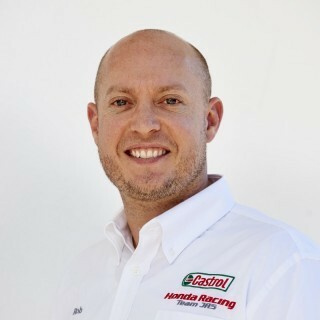 The high speeds of previous years are no longer giving engine power an advantage, with balance and traction equally important. 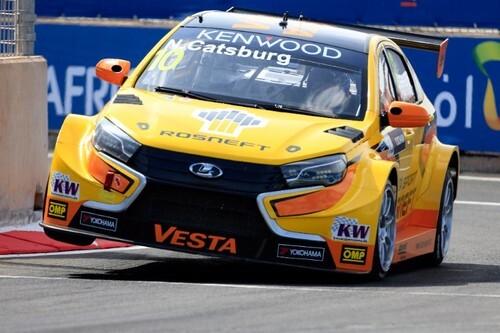 What would have once been considered an exceptional event is now becoming no surprise as once again Nicky Catsburg propelled his Lada Vesta TC1 car into the top five shootout, the 3rd and exclusive part of the FIA WTCC Qualifying format. 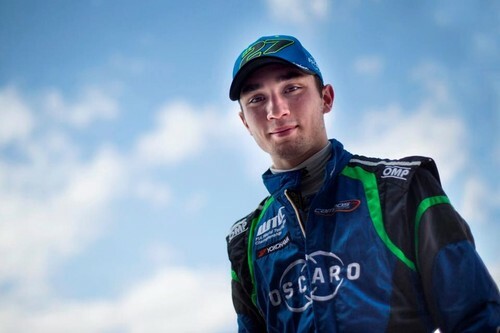 Posting a final time of 1.22.1sec good enough for 5th on the grid and just 4 tenths of a second from pole position and adding more points to his Championship tally. 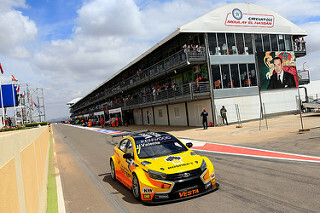 Another increasingly regular occurrence for the LADA SPORT ROSNEFT team is the Opening race front row start for Hugo Valente who will once again line his Vesta up on at the front of the grid in P2 for tomorrows (8thMay) Opening race. 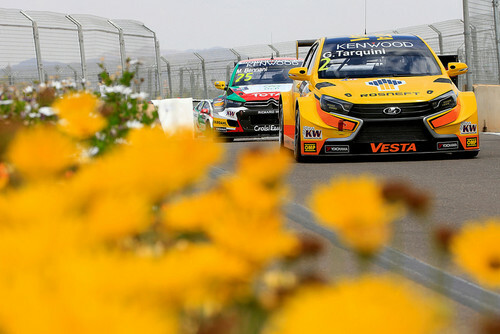 The team’s third driver Gabriele Tarquini completed the line up making it through to Q2 and qualifying P11 for both races in what was an incredibly tight session where the first 11 cars were covered by just 1 second. 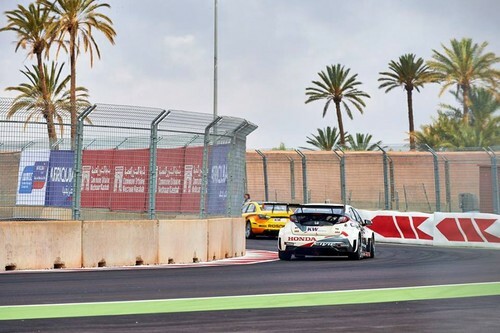 The 2016 season’s innovation “MAC 3” where the manufacturers compete in a time trial format continued at the Moulay El Hassan circuit in Marrakech. 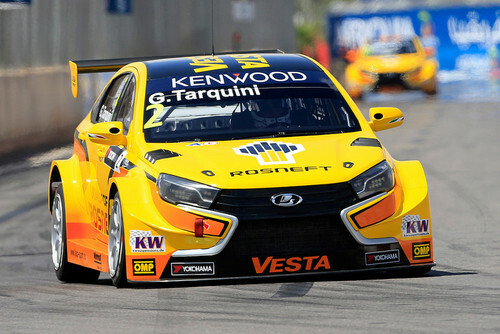 Starting first, the LADA SPORT ROSNEFT trio avoided the dramas of the previous MAC 3 events and successfully lapped the new layout of the circuit to put down a benchmark for the Citroen and Honda teams to chase. 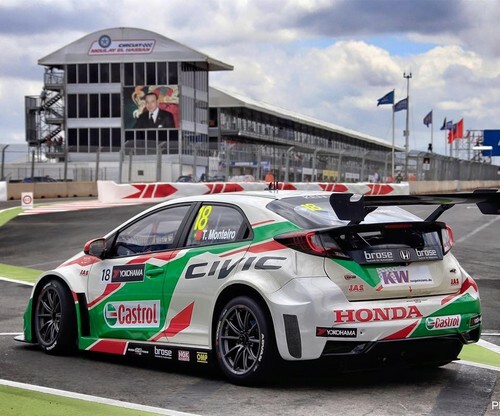 After the Honda Team failed in their efforts to beat the Russian team’s time, it was down to Citroen who demoted LADA SPORT into second. 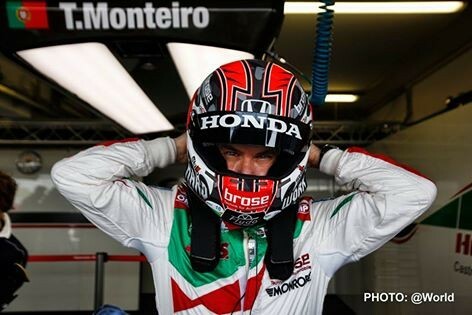 “It is like a visit to the Casino, anything can happen when you roll the dice as the track will not allow for much overtaking but will deliver many mistakes and I think the races will have a lot of incidents”. 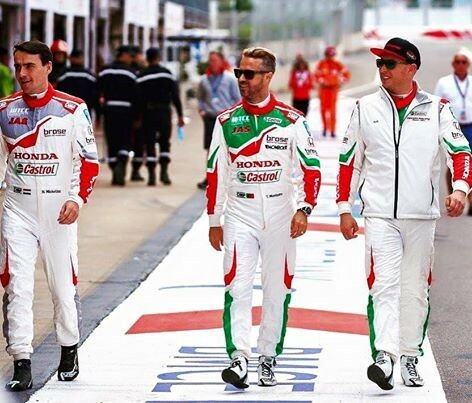 “Honestly it is going to be a lottery and really I haven’t enjoyed the track so much although I am very happy to make it into Q3 again. 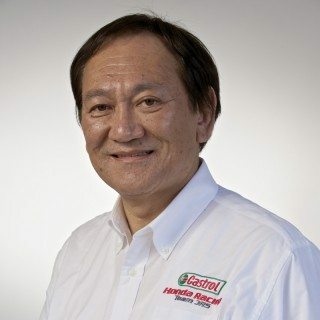 There is no real opportunity for the driver to make a difference on this track, all the corners are slow and with no fast stuff anywhere to test the skills of the driver. 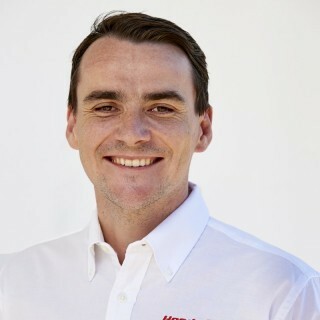 We have worked on getting a balance for the race as best we can but the track will be punishing on the cars, especially the brakes”. 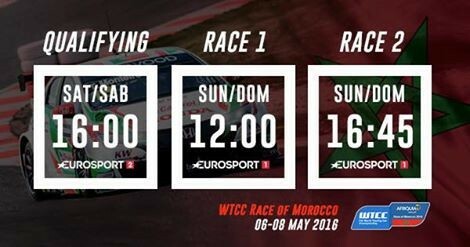 Tomorrow’s races take place at 12.15 and 17.15 local time and can be watched live on Eurosport or streamed live on WTCC premium TV via www.fiawtcc.com. Champagne! 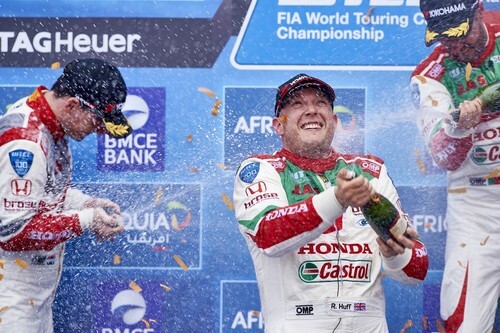 Congrats boys, good job Honda Racing WTCC! Dreamteam!! 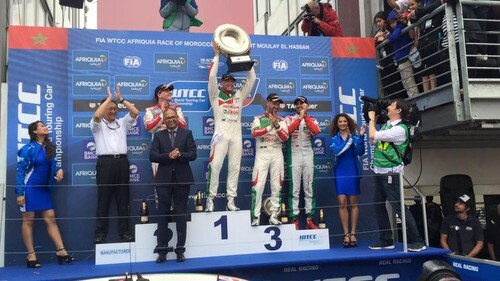 Happy day for Honda Racing WTCCwith 1-2-3 in the 🇲🇦 Main Race. 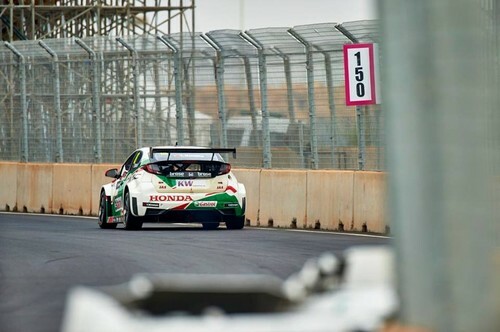 For me personally was a solid weekend with P4 and P3 and we stay close to Jose Maria "Pechito" Lopez in the championship fight 👊🏻💪🏻👊🏻 #tiagosworld18 #honda#thepowerofdreams — a sentir-se feliz em Circuit Moulay El Hassan. 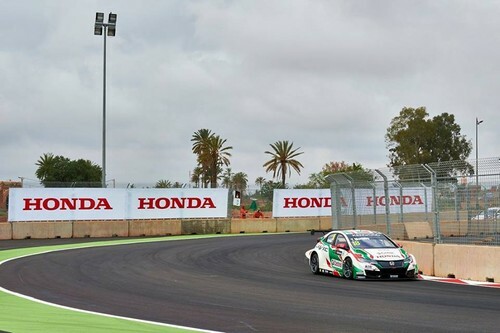 Honda secured a sensational 1-2-3 finish in the main race in Morocco on Sunday to leave the fourth round of the 2016 FIA World Touring Car Championship well and truly in title contention. 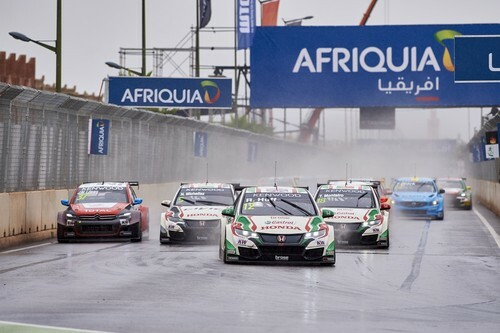 Rob Huff, Norbert Michelisz and Tiago Monteiro dealt with challenging wet conditions brilliantly to lock out the podium positions and make Honda the first manufacturer to complete a clean sweep of the podium this year. 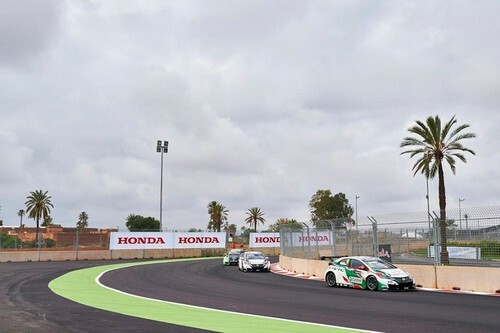 Rob converted his maiden Castrol Honda World Touring Car Team pole position into the lead of a wet main race and immediately built a lead of 1.5 seconds, never putting a wheel out of line despite the lack of grip on the heavily-revised Moulay el Hassan circuit in Marrakech. 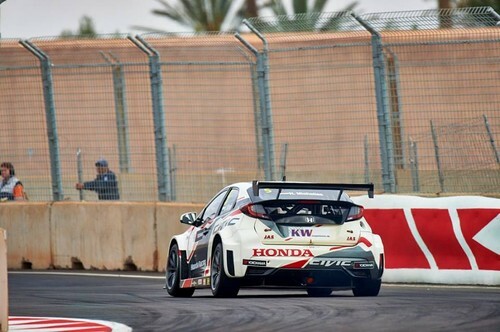 Norbert, who started second, remained close by for the entirety and claimed not only his best finish since becoming a factory Honda driver, but also his third podium finish of the season. 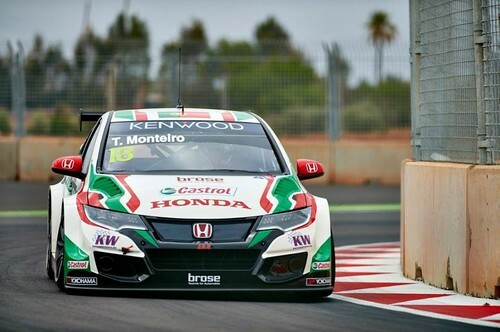 Tiago lost third place on the race’s opening lap to Jose Maria Lopez, but secured the final podium spot when his title rival ran wide at Turn 10 at half-distance and gave him just enough room to squeeze by. 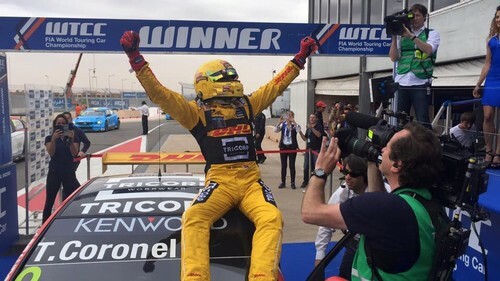 The Portuguese driver is just 14 points behind Lopez in the title fight with 16 races to go as a result of his fifth podium finish of the year and a superb recovery drive from eighth to fourth in the day’s opening race. 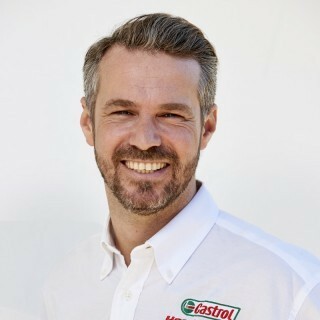 Rob’s victory and earlier sixth place elevated him to third place in the championship while Norbert is now fourth overall as a result of his second and fifth spots. 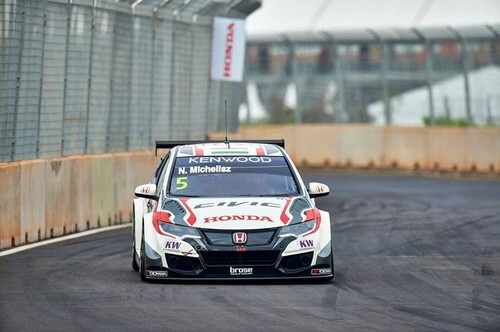 The results also ensure that Honda have reduced the deficit at the top of the manufacturers’ championship to just 39 points with 43 on offer at each remaining race. What a weekend! The second race turned out to be very wet and I had no grip, our achilles heel as we have done virtually no testing in the rain. 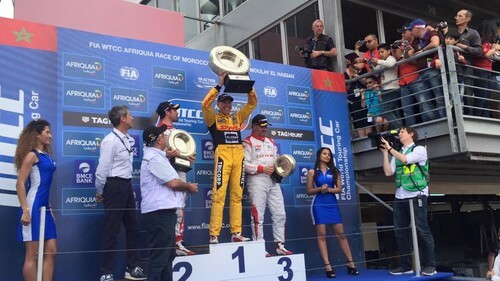 But I am still pleased by scoring points in the first race for the fourth time in succession. 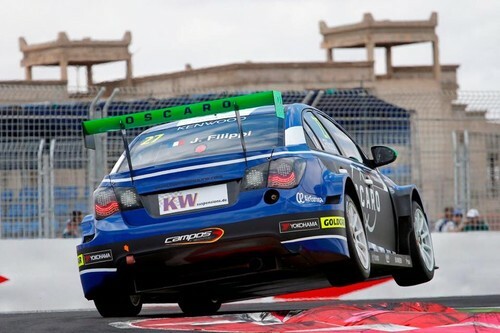 Now a well-needed break of two weekends before we head to the best circuit in the world: the Nürburgring Nordschleife!